i-Telecoms are specialists in business Voip and are located in Sydney CBD, Sylvania and Wollongong. They offer a wide arrange of products including Voip , Business Mobiles and Inbound 1300 numbers. 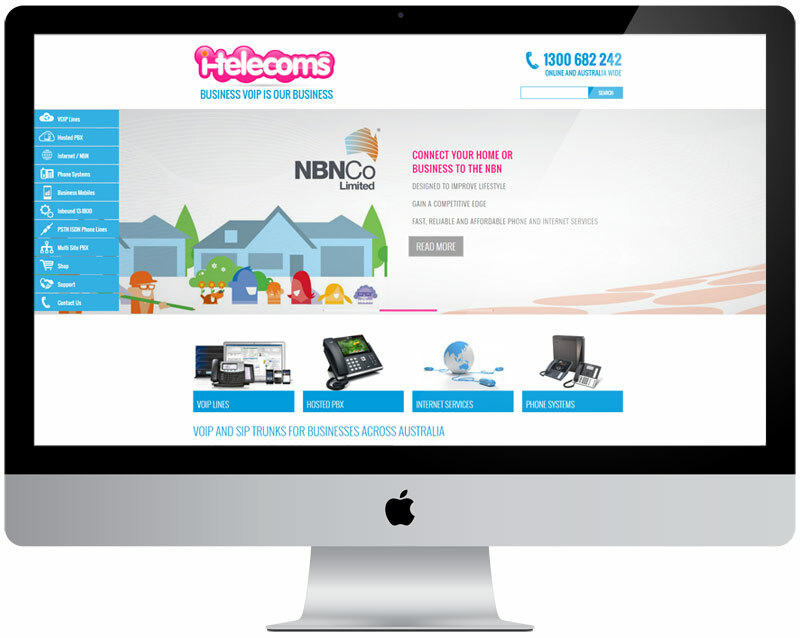 Paisley helped i-Telecoms by creating a quick and easy way for them to update their website using the WordPress platform. The site features a colourful and responsive WordPress template which highlights the companies products and services.